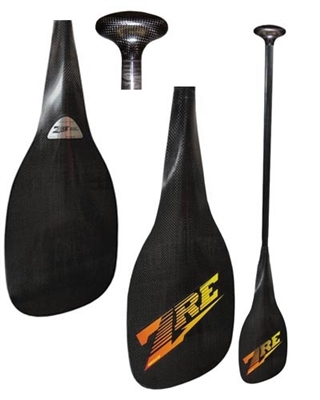 Buy ZRE Zaveral Racing Equipment paddles now at Paddle Dymamics. On sale and free freight!! This Flatwater Canoe Paddle is lightweight at 10oz and is our Best Seller. It sports a super strong Carbon Fiber Blade, with a Blade Length of 19 inches with Carbon Fiber Edges & Tip, a Pre-Impregnated Carbon Fiber Shaft with a Standard angle of 12 degrees and Carbon Fiber Grips.